Happy Wednesday and also a very Happy Birthday to my husband! I'm bringing back an old recipe today. I made these for a holiday party last weekend and was quickly reminded how good they are. 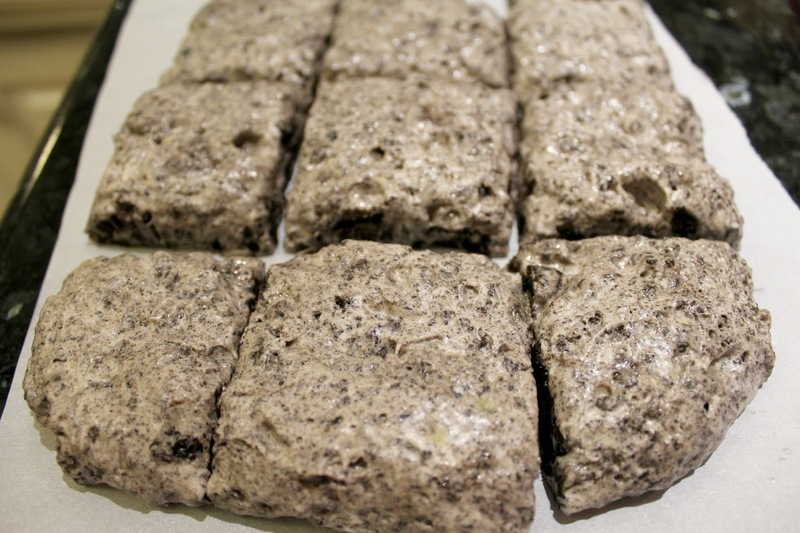 This is a simple three ingredient recipe that can be made in advance. And that's a win- win in my book! Plus, I love any excuse to make things involve oreos. I revised the recipe a little after making them again this year. I hope you enjoy it as much as I did! What are some of your favorite things to make for holiday parties? 1. 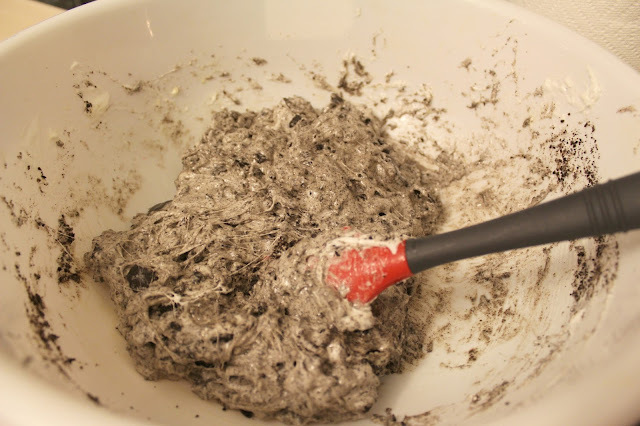 Pour the entire package of Oreos into a food processor and pulse until ground into small pieces. 2. In a large microwave safe bowl add 4 cups of marshmallows, & microwave on low until soft and gooey. 3. Meanwhile, in a microwave safe bowl, melt 4 tablespoons of butter. 4. Note: I find it easier to melt the marshmallows and butter separately given the butter requires a little more heat. But you can also warm the two together as well. 5. Pour melted butter in with the marshmallows and crushed Oreos, stirring until well mixed. 6. Lightly grease a shallow baking dish with butter and pour in the mixture, spreading evening in the dish. 7. Let the mixture sit in the refrigerator for about 15 to 20 minutes. This helps shape them a little better. Ahhh these look so delicious!!! I will have to try and make these! We are going to a NYE dinner so maybe this will be contribution!! These looks so simple to make but delicious! I need to try these. So is my husband. He is actually the one that introduced me to this recipe. Oh my gosh, these look SO good, and something I won't be able to keep in my house (otherwise we'll eat them ALL)! Do they set up and hold their shape pretty well? They are so good! And yes, they hold their shape really well. These look delicious!! My husband is GF and they have GF oreos like things too that I bet I could use for this! Thanks! 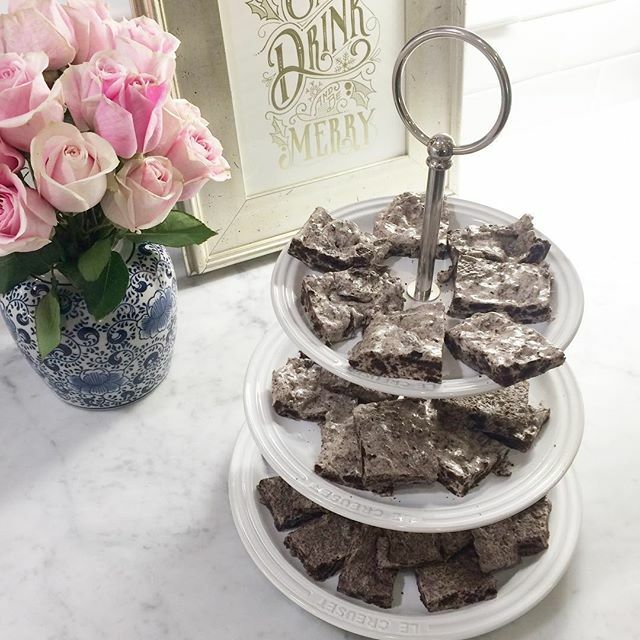 You had me at "no bake" these look so delicious for the holidays!